Youll gain experience and confidence as you watch a pro construct a sturdy case and face frames, cut curves with a bandsaw, edge plywood, shape moldings, glue up, and add masterful finishing touches. 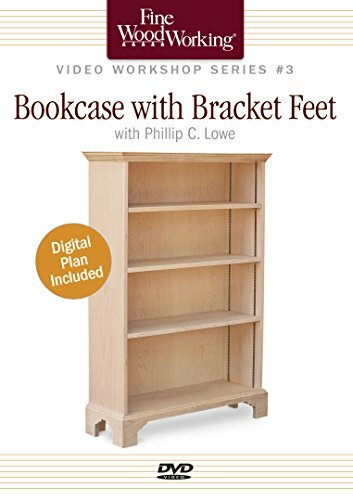 Plus you will learn how to customize your bookcase with either flat or ogee bracket feet. DVD is 43 minutes in length and includes a digital Sketchup plan.